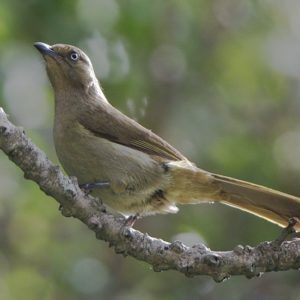 Now known as Sombre Greenbul. An abundant but seldom-seen bird, which advertises its presence with song. Skulks. Song ‘Willie’ followed by a jumble of notes. Sings all day and all year round. insects, small snails, fruit, berries. 15 to 18 cm Resident insects, small snails, fruit, berries.